This Boulder home remodel has upgraded their interior railing system and made it a focal point of their home. 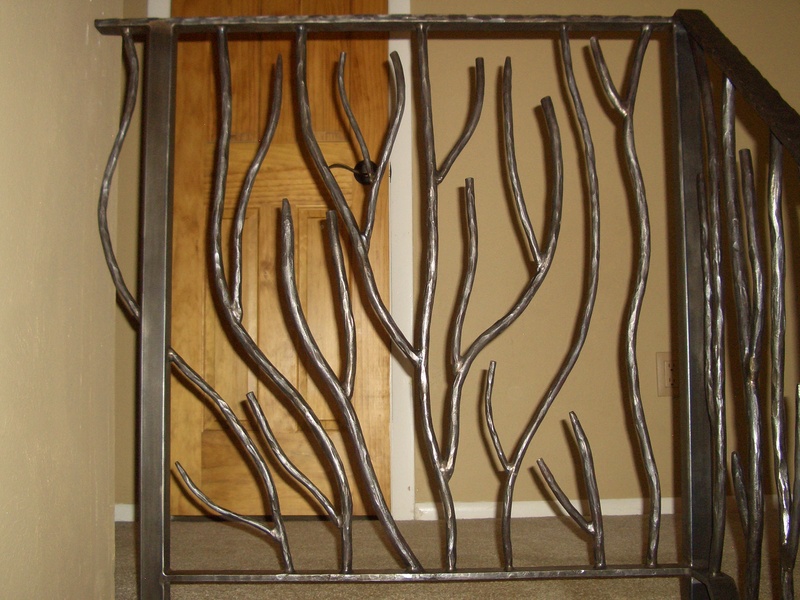 The organic branch look is hand forged round bar with a natural finish. The beauty of the steel shines through and the design is simple and unique.